In yesterday's four-game match between GM Hikaru Nakamura and the computer Stockfish, the world's top chess engine won 3-1. Nakamura, the world's fifth-best human, managed two draws in the four games but lost twice, both times pressing instead of acquiescing to a draw. The match in Burlingame, California opened with two games of computer assistance for Nakamura. This led to one spectator dubbing him "Rybkamura," a portmanteau of his surname and the computer helper. In the latter two games, he received White with pawn odds but no assistance. 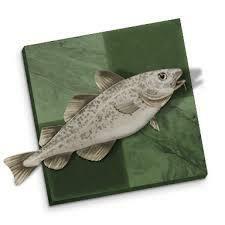 Stockfish took both portions 1.5-0.5. GM Hikaru Nakamura checks with Rybka before moving. All photos courtesy Tyson Mao and Athur Levinson. According to match conditions, Stockfish was not allowed to access either an opening book or an endgame tablebase. What it did have was brute power -- match co-organizer Jesse Levinson said it was "the latest development build compiled for OS X and running on a 3ghz 8-core Mac Pro." In comparision, Nakamura had the assistance of an older version of Rybka (about 200 points less than Stockfish's 3200+ rating), and it ran on a 2008 MacBook. Of course, he also had his 20-plus years of chess knowledge in play. "The inspiration for this match was me opening my mouth too much," said co-organizer Tyson Mao. "I was wondering out loud how my  MacBook could compete against today's chess engines. "The main question is, 'Do humans add any value to chess engines today?' It's a very polarizing question. That's why we're having the match." Left to right: Nakamura, Jesse Levinson, Tyson Mao. In the Chess.com poll about the result, only a small majority thought the computer would win (at the time of this writing). "There really doesn't seem to be a consensus," Mao said. The match clearly captivated the public. About 50 spectators showed up in person while nearly 3000 viewed the online coverage. Nakamura took White in game one and played quickly. Chess.com/TV commentators IM Danny Rensch and GM Ben Finegold, both unashamedly rooting for humanity, favored Nakamura's position after Black was saddled with an isolated queen pawn. For a moment it seemed White's king might be in trouble in the endgame, but everything was under control and Nakamura drew comfortably. In game two, Nakamura implemented the King's Indian Defense, which is also part of his repertoire against humans. He may have been inspired by GM Daniel Naroditsky's usage of it in the first match of this ilk -- the opening gave Naroditsky his only half-point against the machine. It looked like Nakamura comfortably shut down all lines of attack, and that he may be inducing the computer to weaken his position to avoid the 50-move rule (a trick Nakamura has used in the past). Instead, Black made the advance ...f5 (on move 115! ), but too many holes were left around his king. Nakamura had to resign on move 147 when he realized he could not set up a fortress. As explained on his Twitter page, Nakamura said the decision to play 115...f5 was based on Rybka's analysis that White was planning Re3 and g4, with nearly a one-pawn advantage. The match now switched to the pawn odds section. (Black's missing pawn would be chosen at random.) Nakamura also had to turn off his machine. Many pundits predicted that his chances were better in this format. Switching to the odds section, the organizers rolled an eight-sided die and consequently removed Black's h-pawn for game three. Nakamura settled for a perpetual check after his material advantage disappeared. Nakamura needed to win game four to tie the match. This time Black's b-pawn was martyred, creating a Hyper-Accelerated Owen's Defense. Like game two, Nakamura didn't need to open the position, but may have felt compelled since he needed to win for a split. His score of 1-3 was a half-point better than Naroditsky fared, though 2-2 with four draws also was within his grasp, if not his style. Nakamura must now travel to St. Louis and prepare for the 2014 Sinquefield Cup, the strongest chess tournament in history. Chess.com/TV will cover all the games live. If you crave even more of the American number one, he will also be playing in an upcoming Death Match against GM Wesley So, currently scheduled for October 4, 2014. Before he could leave the Bay Area, he had one last surprise in store for him. A magnitude 6.0 earthquake struck 50 miles north of him this morning in Napa County.